Once you have created your Discount Rules, you will need to assign them to the classes that you bill By Class Tuition Fee. The Tuition Discount Rule can be assigned to an individual class on the Summary tab of the Class record. 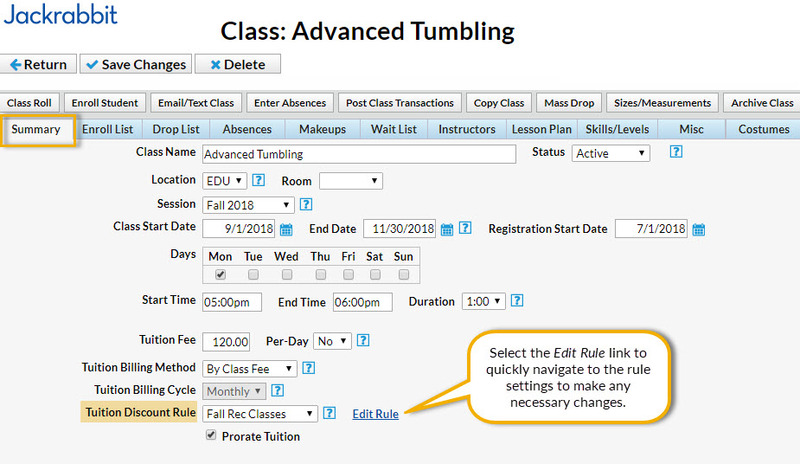 Use Edit All Classes, from the Classes menu, to assign Tuition Discount Rules to multiple classes. Search for specific classes using search criteria and then assign the rule to those classes from one screen.